The insolvent A-Tec Group pays out the insolvency quota next week. The new owner of the former A-Tec subsidiary, now can begin to realize its expansion plans. The Austrian mechanical engineering company, which is a subsidiary of the insolvent A-Tec group, is highly sought-after. The sale price is estimated to reach € 30m. The copper segment of the insolvent Austrian A-Tec group could find a new owner soon. An Austrian aluminum trader intends to purchase Brixlegg. 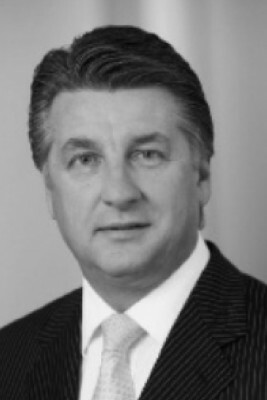 Investigations by the Austrian Public Prosecution Authority against the CEO of A-Tec, Mirko Kovats, proceed. The suspicions are massive. A-Tec’s outgoing CEO challenges a court decision as he sees an infringement of his property rights. The insolvent Austrian A-Tec corporation, which is currently being dissolved, faces several problems. 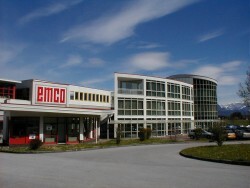 The sale of the remaining subsidiaries Brixlegg and Emco could be delayed. Mirko Kovats, CEO of the Austrian A-Tec, will be replaced from his positions in order to avoid further “disturbances”. The subsidiary of the insolvent A-Tec corporation is looking for a new owner. Now, it is important to find a quick solution. The founder and CEO of the Austrian technology group A-Tec Mirko Kovats comes under fire. Wilhelm Rasinger from the Austrian investor´s representation asks Kovats and the liquidator Matthias Schmidt to step down. The Austrian technology company, which should have been sold as a whole, could not find a buyer. The remaining assets will now be offered separately. The Austrian conglomerate needs another € 90m in order to fulfill the restructuring plan. A new general meeting will be held. After several months of negotiations a decision has been made: The group will be split up, ATB and Montanwerke Brixlegg will be sold to foreign investors. The CEO of the insolvent Austrian group wants to finalize the deal with an investor before resigning from his position. Negotiations with Penta have been suspended. 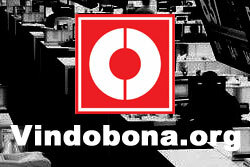 A decision on the sale of the insolvent conglomerate will not be taken before 2 September. Penta Investments is irritated by the offer of a competing bidder. According to a new proposal, Penta Investments should only take over part of the Austrian conglomerate. CEO Kovats has submitted an own offer with financial support from a Pakistani billionaire. The group’s supervisory board has asked for expert advice on the sales process. A decision might be taken at the end of August. The Austrian conglomerate achieved a net profit of € 24.6m in the first six months of the year. Revenue increased by 15.8%. The Austrian conglomerate’s negotiations with investors are about to be concluded. CEO Kovats criticized banks for being “no help in securing jobs”. The subsidiary of the insolvent A-Tec group achieved an increase in revenue of 18% in the first half of the year. EBIT turned positive to € 9.9m. Serious allegations have been made against Board Members of the Austrian conglomerate which is currently negotiating with potential investors. Eight houses have been searched. CEO Mirko Kovats does not want to give up control over the Austrian conglomerate. He is trying to push through a sale to his favorite bidder which would give him a role in the group. Investors will need at least € 210m in order to fulfill the payout plan. Up to five potential buyers were still interested in an acquisition. A-Tec boss Mirko Kovats has to find a buyer for his insolvent group by June 30. Investors will need at least € 225m in order to fulfill the payout plan. 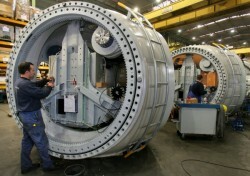 The Czech subsidiary of the insolvent plant manufacturer will become part of the German construction group Bilfinger Berger. The insolvent company reported a loss of € 585m. Nonetheless, CEO Kovats sees a positive development and remains optimistic. Time is pressing. A decision has to be made by the end of June. The Austrian restructurer Erhard Grossnig is interested in acquiring parts of the insolvent A-Tec Group. The insolvent A-Tec Group might actually succeed in completing its reorganization. An investor has yet to be found by the end of June. The restructuring plan for the insolvent A-Tec has been approved by the shareholders. Due to the lack of an alternative, Kovats stays. The creditors of the insolvent Austrian technology Group A-Tec prefer Mirko Kovats to retreat from his position as CEO. The survival of the Austrian A-Tec is provisionally secure. An investor has to be found until mid-year. According to what is being heard about the negotiations of the creditors, it is clear that the quota should be increased. The vote on the restructuring plan takes place on Wednesday. Next Wednesday the insolvent company’s restructuring plan will be submitted. Afterwards, there will remain two weeks remain for the adoption of the concept. The group has not defined an overall quota yet. What is certain, however, is that the current offer will be too low for the creditors. The value of AE&E Group is dubious. Kovats could have problems with the quota. 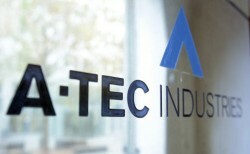 The remaining divisions of the insolvent A-Tec Group are being valued. Kovats will not be able to avoid an increase of the quota for the creditors. Despite the resignation offer to the creditors Mirko Kovats, majority owner and founder of bankrupt A-Tec, stays on as CEO. The insolvent Vienna Stock Exchange listed company undergoes sales declines and a negative EBIT. Due to the insolvency of the A-Tec Group. founder and CEO Mirko Kovats will have to give up prestigious projects such as his A-Jet. No agreement over the purchaser of the AE&E subsidiary could be reached. However, Andritz is still considered as a prospective buyer. While the participants at the negotiating table constantly change, bankruptcy is imminent. An A-Tec without AE&E is now being worked on. The negotiators must reach an agreement still today in order to avoid the insolvency of the industrial plant manufacturer AE&E. A-Tec: New Hopes with Ronny Pecik? Pecik, a former associate of Kovats might get again into A-Tec. Several years ago, the investors separated because of differences.